The 60th annual Berlin International Film Festival was held from 11–21 February 2010, with Werner Herzog as President of the Jury. The opening film of the festival was Chinese director Wang Quan'an's romantic drama Apart Together, in competition, while the closing film is Japanese director Yoji Yamada's About Her Brother, which was screened out of competition. The Golden Bear went to Turkish film Bal directed by Semih Kaplanoğlu. A new record attendance was established with 282,000 sold tickets, according to the organizers. A restored version of Fritz Lang's Metropolis was also shown at the festival. 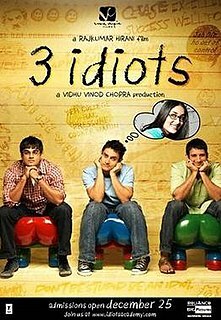 3 Idiots is a 2009 Indian coming-of-age comedy-drama film co-written and directed by Rajkumar Hirani. Starring Aamir Khan, R. Madhavan, Sharman Joshi, Kareena Kapoor, Boman Irani and Omi Vaidya, the film follows the friendship of three students at an Indian engineering college and is a satire about the social pressures under an Indian education system. The film is narrated through parallel dramas, one in the present and the other ten years in the past. It also incorporated real Indian inventions, namely those created by Remya Jose, Mohammad Idris, Jahangir Painter and Sonam Wangchuk. Blu-ray or Blu-ray Disc (BD) is a digital optical disc data storage format. It was designed to supersede the DVD format, and is capable of storing several hours of video in high-definition and ultra high-definition resolution (2160p). The main application of Blu-ray is as a medium for video material such as feature films and for the physical distribution of video games for the PlayStation 3, PlayStation 4, and Xbox One. 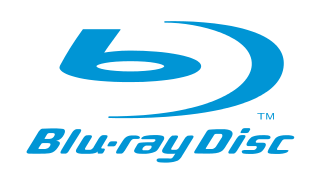 The name "Blu-ray" refers to the blue laser used to read the disc, which allows information to be stored at a greater density than is possible with the longer-wavelength red laser used for DVDs. 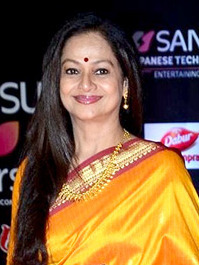 Zarina Wahab is an Indian actress who was critically acclaimed for starring roles, in Chitchor and Gopal Krishna in the 1970s. She has also appeared in Malayalam films including the critically acclaimed Madanolsavam, Chamaram, Palangal and Adaminte Makan Abu. Borivali is a coastal suburb of Mumbai and is located at its north-western end. Borivali is approximately 18 kilometres (11 mi) from Mumbai Airport. The estimated population of Borivali in 2010 was 513,077. On 7 August 2009, Karan Johar signed a deal for INR 1 billion with Fox Searchlight Pictures, who will market and distribute it in India (FOXSTAR) and worldwide (Fox Searchlight). It covers all rights except music, which has been secured by Sony Music. The film faced considerable falls in collections after its first week. The drops in collections is evident from the fact that 63% of the film's net collections came from the first week, as compared to 54% for Race , 56% for Ghajini , 49% for Rab Ne Bana Di Jodi and 39% for 3 Idiots . In spite of this, the film managed to retain the No. 1 position at the box office for two consecutive weeks. It was in the top 5 list of the Indian box office for six consecutive weeks. Though the mid-week collections saw a drop of 60% from the opening weekend, it held up well against other major releases and secured the highest first quarter collections, a record previously held by the 2008 film Race. Thus, the film is a financial success owing to its record-breaking overseas collections and healthy domestic collections. While he was not allowed to use his own phone, Khan was permitted one phone call. He was thus released after officials from the Indian Consulate intervened. Civil Aviation Minister Praful Patel stated that the event will be further explored with U.S. officials. 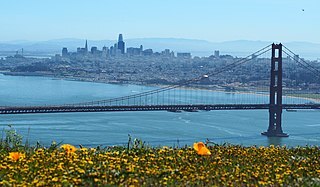 According to the BBC, "Elmer Camacho, a spokesman for the US Bureau of Customs and Border Protection, said the questioning was part of the agency's routine process to screen foreign travellers." When asked if he would demand an apology, Khan replied that he would not. Kal Ho Naa Ho, also abbreviated as KHNH, is a 2003 Indian romantic melodrama film directed by Nikkhil Advani. The film features Jaya Bachchan, Shah Rukh Khan, Saif Ali Khan, and Preity Zinta as the lead characters, with Sushma Seth, Reema Lagoo, Lillete Dubey, and Delnaaz Paul in supporting roles. It narrates the story of Naina Catherine Kapur, a pessimistic and uptight MBA student. She falls in love with her neighbour Aman Mathur, a terminally-ill heart patient who tries to get Naina and her friend Rohit Patel to fall in love with each other, since he fears she will grieve for him if he reciprocates her feelings. Karan Arjun is a 1995 Indian action drama film starring Salman Khan, Shah Rukh Khan, Kajol, Rakhee, Mamta Kulkarni, Amrish Puri, Aashif Sheikh, Ranjeet and Johnny Lever. The film was directed by Rakesh Roshan and written by Sachin Bhowmick, Ravi Kapoor and Anwar Khan. Karan Arjun is a mix of an upbeat Bollywood musical, and an action movie, with religious overtones. It was the second-highest-grossing Indian film of 1995, after Dilwale Dulhania Le Jayenge, which also starred Shah Rukh Khan and Kajol. Dilwale is a 2015 Indian Hindi-language romantic action film, directed by Rohit Shetty, written by Yunus Sajawal and Sajid-Farhad, and produced by Gauri Khan and Rohit Shetty, under the banners of Red Chillies Entertainment and Rohit Shetty Productions, respectively. The film stars Shah Rukh Khan, Kajol, Varun Dhawan and Kriti Sanon, with Johnny Lever and Varun Sharma in supporting roles. Farah Ki Dawat is an Indian television cookery show, which premiered on 22 February 2015 which airs on Colors TV. The show is hosted by filmmaker Farah Khan. 1 2 "BBFC Movie Information". British Board of Film Classification . 4 February 2010. Archived from the original on 23 December 2012. Retrieved 4 February 2010. 1 2 3 4 "MY NAME IS KHAN (2010) – BFI". British Film Institute. 10 May 2017. Archived from the original on 11 August 2017. ↑ "My Name Is Khan – Movie". Box Office India . Retrieved 13 December 2018. 1 2 3 4 "Official exchange rate (LCU per US$, period average)". World Bank . 2010. Retrieved 11 December 2018. 1 2 3 4 "My Name Is Khan Box Office Collection till Now". Bollywood Hungama . Retrieved 11 December 2018. 1 2 Weisberg, Jay (14 February 2010). "Review:My Name Is Khan". Variety. Archived from the original on 14 February 2010. Retrieved 14 February 2010. ↑ Gajjar, Manish (15 February 2010). "My Name Is Khan preview". BBC. Archived from the original on 8 December 2015. ↑ "Bolly fan: Novelist Paulo Coelho loves My Name is Khan, SRK is overjoyed". Dawn. 8 August 2015. Archived from the original on 17 September 2017. ↑ Shrivastava, Vipin (12 February 2015). "Five years of My Name Is Khan: 5 reasons to watch it this Valentine's Day". India Today. Archived from the original on 26 October 2017. ↑ Dwyer, Rachel; Patel, Divia. Cinema India. Rutgers University Press. ISBN 978-0-8135-3175-5. Archived from the original on 15 February 2018. Retrieved 1 August 2007. 1 2 Bhushan, Nyay (7 August 2009). "Fox Star to distribute 'Khan'". The Hollywood Reporter. p. 8. Archived from the original on 12 December 2015. Retrieved 5 September 2009. ↑ Sinha, Ashish (28 July 2009). "Fox bags rights for My Name Is Khan in Rs 100 crore deal". Business Standard . Archived from the original on 30 July 2009. Retrieved 8 September 2011. ↑ Subhadeep (23 February 2010). "Actor Shahrukh Khan | Controversy Dogs | Ashok Todi | Lux Cozy | Kolkata Knight Riders". Oneindia.in. Archived from the original on 15 May 2013. Retrieved 30 December 2011. 1 2 "My Name Is Khan's first trailer with Avatar". Oneindia.in. Archived from the original on 15 May 2013. Retrieved 30 December 2011. 1 2 Coker, Margaret (10 February 2010). "Shah Rukh Khan Premieres New Film, "My Name Is Khan"". Wall Street Journal. Archived from the original on 12 February 2010. Retrieved 10 February 2010. ↑ Frater, Patrick (2 November 2009). "'Khan' gets Valentine's Day release". The Hollywood Reporter . Archived from the original on 11 October 2016. Retrieved 2 November 2009. 1 2 "My Name Is Khan selected for Berlin Film Festival". DNA. 15 December 2009. Archived from the original on 17 December 2009. Retrieved 15 December 2009. 1 2 3 Hooli, Shekhar (1 May 2017). "Baahubali 2 overseas box office collection: Rajamouli's film beats Chennai Express, Kabali's lifetime record in 1st weekend". International Business Times . Archived from the original on 10 November 2017. 1 2 3 "Three Idiots Creates History In China". 30 December 2011. BoxOfficeIndia.Com. Archived from the original on 7 January 2012. Retrieved 30 December 2011. 1 2 Hungama, Bollywood (13 October 2014). 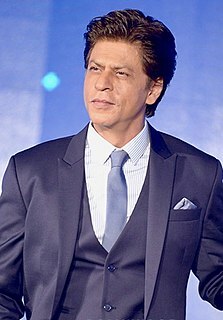 "List of Top International GBO earners of all time – Bollywood Hungama". Bollywood Hungama . Archived from the original on 1 July 2017. ↑ "MNIK official DVD release". Planet Bollywood. Archived from the original on 14 April 2010. Retrieved 20 April 2010. ↑ Super Admin (12 January 2010). "Bollywood Previews | My Name Is Khan Preview | Shahrukh Khan | Karan Johar | Kajol". Oneindia.in. Archived from the original on 15 May 2013. Retrieved 30 December 2011. ↑ Ahmed, Afsana (9 August 2009). "Meet my new avatar: SRK". The Times of India. India: The Times Group. Archived from the original on 12 August 2009. Retrieved 21 August 2009. ↑ Mukherjee, Madhurita (13 July 2009). "'Entertainment is recession proof!'". The Times of India. India: The Times Group. Archived from the original on 27 December 2008. Retrieved 21 August 2009. ↑ "There are no terrorists in MNIK: SRK". India Today. 2 February 2010. Archived from the original on 4 March 2016. 1 2 3 Gupta, Pratim D. (7 March 2009). "A BMW Date With SRK". The Telegraph. Kolkota, India: Ananda Publishers. Archived from the original on 21 December 2009. Retrieved 21 August 2009. ↑ Subhadeep (18 February 2010). "Bollywood Interviews | Karan Johar Interview | My Name Is Khan | Actor Shahrukh Khan". Oneindia.in. Archived from the original on 16 September 2012. Retrieved 30 December 2011. ↑ Jha, Subhas K. (25 July 2009). "Crazy about Shah Rukh". The Times of India. India: The Times Group. Archived from the original on 13 January 2009. Retrieved 21 August 2009. ↑ "Spotted: SRK, Karan Johar in Los Angeles". Rediff.com . Archived from the original on 3 June 2009. Retrieved 21 August 2009. ↑ "On the sets of SRK's My Name Is Khan". Rediff.com . Archived from the original on 9 August 2009. Retrieved 21 August 2009. ↑ Reporter, Metro (3 August 2009). "Pizarro: Bollywood pays a visit to San Jose's Children's Discovery Museum". Metro Silicon Valley . Metro Newspapers. Archived from the original on 7 June 2011. Retrieved 21 August 2009. ↑ Banerjee, Arnab (10 May 2007). "Kajol -SRK to sizzle again?". Hindustan Times. India: HT Media Ltd. Archived from the original on 20 April 2009. Retrieved 21 August 2009. ↑ "My Name Is Khan: Kareena out, Kajol in". Rediff.com . Archived from the original on 24 July 2009. Retrieved 21 August 2009. ↑ Maniar, Parag (23 December 2008). "Aamir Bashir denied US visa". Mumbai Mirror . The Times Group. Archived from the original on 7 March 2012. Retrieved 21 August 2009. 1 2 3 Jha, Subhas K. (6 February 2009). "Karan's bonding with SRK & Kajol". The Times of India. India: The Times Group. Archived from the original on 9 February 2009. Retrieved 21 August 2009. ↑ Taneja, Nikhil. "No mom, no dadi, just me, says Shabana". Hindustan Times. India: HT Media Ltd. Archived from the original on 21 April 2009. Retrieved 21 August 2009. ↑ Jha, Subhas K. (19 February 2009). "Shabana's role to be re-cast in SRK's film". The Times of India. India: The Times Group. Archived from the original on 22 February 2009. Retrieved 21 August 2009. ↑ Jha, Subhas K. (10 April 2009). "Slumdog kid to play junior SRK". The Times of India. India: The Times Group. Archived from the original on 13 April 2009. Retrieved 21 August 2009. ↑ "My Name Is Khan 5th Anniversary: Lesser known facts about the film! : MagnaMags". Magna Publishing (in Latin). 12 February 2015. Archived from the original on 27 April 2015. Retrieved 3 December 2015. ↑ Dasguptha, Priyanka (19 January 2010). "Kajol took my breath away: Duncan". The Times of India . Archived from the original on 13 March 2017. Retrieved 26 October 2015. 1 2 "Barack Obama in My Name Is Khan". Times of India . 20 January 2010. Archived from the original on 26 January 2013. Retrieved 20 January 2010. ↑ Ratner, Andrew (17 February 2009). "Presidential pretenders finding Web success". The Baltimore Sun . Tribune Company. Archived from the original on 19 July 2012. Retrieved 21 August 2009. ↑ Jha, Subhash K. (25 April 2009). "KJo denied permission to shoot in LA mosque". MiD DAY . Mid Day Multimedia Limited. Archived from the original on 30 September 2009. Retrieved 21 August 2009. ↑ Tushar, Joshi (June 18, 2009). "KJo shot in the CBS newsroom for My Name Is Khan". Mid Day. ↑ Super Admin (11 January 2010). "Actor Shahrukh Khan | Severe Migraine | My Name Is Khan | Karan Johar | Actress Kajol". Oneindia.in. Archived from the original on 15 May 2013. Retrieved 30 December 2011. ↑ Ahmed, Afsana (25 March 2009). "SRK is like an elder brother: Karan". The Times of India. India: The Times Group. Archived from the original on 26 April 2016. Retrieved 21 August 2009. ↑ "MNIK will have a phased global release: Karan Johar". Deccan Herald. India. 4 February 2010. Archived from the original on 9 February 2010. Retrieved 18 October 2011. ↑ "MNIK sees records at Berlin". MalaysiaNews.Net. Archived from the original on 17 February 2010. Retrieved 12 February 2010. ↑ "SRK, Kajol promote My Name Is Khan". Rediff.com. 17 December 2009. Archived from the original on 29 May 2012. Retrieved 30 December 2011. ↑ "SRK, Karan, Kajol are back". The Times of India. 16 December 2009. Retrieved 30 December 2011. ↑ PTI (16 December 2009). "My Name Is Khan: First film to use ad roadblock strategy". The Economic Times. India. Retrieved 18 October 2011. ↑ "I'm a proud Indian first says SRK". Mid-Day. 14 December 2009. Archived from the original on 17 December 2009. Retrieved 24 November 2009. ↑ Businessofcinema.com Team. "Dishtv to pump in Rs 40 million to promote SRK's My Name Is Khan". Businessofcinema.com. Archived from the original on 6 April 2012. Retrieved 30 December 2011. ↑ "Reebok new footwear promotes 'My Name Is Khan'". Sify. 5 February 2010. Archived from the original on 11 December 2015. Retrieved 3 December 2015. ↑ PTI (1 February 2010). "SRK, Kajol ring the NASDAQ bell". The Hindu. India. Archived from the original on 3 February 2010. Retrieved 1 February 2010. ↑ "Friday Night with Jonathan Ross". BBC. 7 February 2010. Archived from the original on 25 April 2017. Retrieved 26 October 2015. ↑ Sarah, Gordon (10 February 2010). "Airport denies Shah Rukh Khan's body scanner image was printed for autographs". Daily Mail. Archived from the original on 20 July 2010. Retrieved 26 October 2015. ↑ White, Beverly (6 August 2009). "SRK-Fox in a Rs 100 crore deal". NDTV . Prannoy Roy Publications. Retrieved 21 August 2009. ↑ Jha, Subhash (12 February 2010). "Hug your neighbour, watch My Name Is Khan!". Times of India. India. Archived from the original on 16 February 2010. Retrieved 12 February 2010. ↑ Kazmi, Nikhat (11 February 2010). "Times of India Review: My Name Is Khan". Times of India. India. Archived from the original on 14 February 2010. Retrieved 11 February 2010. ↑ Adarsh, Taran (30 April 2010). "My Name Is Khan: Movie Review". Bollywoodhungama. Archived from the original on 16 September 2012. Retrieved 6 May 2010. ↑ Tanwar, Sarita (10 February 2010). "My Name Is Khan – Movie Review". Mid-Day . Archived from the original on 4 June 2011. Retrieved 17 April 2011. ↑ Masand, Rajeev (12 February 2010). "Masand's review: MNIK is inherently sincere". CNN-IBN. Archived from the original on 15 February 2010. Retrieved 12 February 2010. ↑ Kamath, Sudhish (19 February 2010). "Khan do no wrong – My name is Khan". The Hindu . Chennai, India. Archived from the original on 28 May 2010. Retrieved 15 April 2011. ↑ Gajjar, Manish (19 February 2010). "My Name Is Khan review". BBC. Archived from the original on 20 November 2011. Retrieved 15 April 2011. ↑ D. Gupta, Pratim (13 February 2010). "The Name's Khan, Shah Rukh Khan". The Telegraph . Archived from the original on 4 June 2011. Retrieved 15 April 2011. ↑ Joshi, Namrata (22 February 2010). "The Good Muslim In Eternal Return". Outlook . Archived from the original on 11 February 2012. Retrieved 25 October 2011. ↑ "My Name Is Khan Movie Reviews". Rotten Tomatoes. Archived from the original on 25 October 2015. Retrieved 26 October 2015. ↑ Saltz, Rachel (12 February 2010). "A Hero Begins His Quest, and Then the Trouble Starts". The New York Times. Archived from the original on 16 February 2010. Retrieved 12 February 2010. ↑ Honeycutt, Kirk (12 February 2010). "My Name Is Khan – Film Review". The Hollywood Reporter. Archived from the original on 14 February 2010. Retrieved 12 February 2010. ↑ "List of Productions Eligible for the 83rd Academy Awards". Oscars.org. Archived from the original on 11 August 2014. Retrieved 17 March 2011. ↑ "Boxofficeindia.com". Boxofficeindia.com. Archived from the original on 15 January 2013. Retrieved 15 June 2011. ↑ "Top Lifetime Grossers 2010–2019 (Figures in Ind Rs)". Boxofficeindia.com. Archived from the original on 14 October 2013. Retrieved 12 September 2010. ↑ "My Name Is Khan has received its first award". mid-day.com. Archived from the original on 14 October 2010. Retrieved 15 September 2010. ↑ "'Housefull will be the biggest hit of 2010'". movies.rediff.com. Archived from the original on 14 September 2010. Retrieved 15 September 2010. ↑ Priyanka, Jain (13 July 2012). "It's a Khan's world: Actors who rule Bollywood". Hindustan Times. Archived from the original on 22 December 2015. Retrieved 26 October 2015. 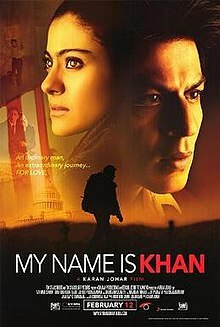 1 2 "My Name Is Khan (2010)". Boxoffice Mojo. Archived from the original on 9 December 2011. Retrieved 30 December 2011. ↑ "My Name Is Khan is handshake between India and the West". Daily News and Analysis. Archived from the original on 15 June 2010. Retrieved 30 December 2011. ↑ "My Name Is Khan grosses Rs 1.50 billion worldwide in 10 days". Businessofcinema.com. Archived from the original on 27 February 2010. Retrieved 8 May 2010. ↑ "Weekend Box Office results for 12–14 February 2010". Boxofficemojo.com. Archived from the original on 6 June 2011. Retrieved 15 June 2011. ↑ "MNIK First weekend – Australia Box Office Report". One India. Archived from the original on 15 May 2013. Retrieved 20 February 2010. ↑ "MY NAME IS KHAN – New Zealand and Fiji collections". Boxoffice Mojo. 2011. Archived from the original on 6 January 2016. ↑ "Shahrukh Khan's 'My Name Is Khan' Breaks New Worldwide Records". Desi Hits. 23 February 2010. Archived from the original on 27 February 2010. Retrieved 25 February 2010. ↑ "My Name Is Khan grosses Rs 1.50 billion worldwide in 10 days". Business of cinema. 24 February 2010. Archived from the original on 27 February 2010. Retrieved 25 February 2010. ↑ "My Name Is Khan smashes box office records worldwide". businessofcinema.com. Archived from the original on 1 May 2012. Retrieved 30 December 2011. ↑ "Shah Rukh's 'My Name Is Khan a hit with Egyptian public". India Today. 3 May 2010. Archived from the original on 4 March 2016. ↑ "MY NAME IS KHAN – Egypt collections". Boxoffice Mojo. 2010. Archived from the original on 8 December 2015. ↑ "Middle East record for MNIK". Box Office India. Archived from the original on 21 February 2010. Retrieved 19 February 2010. 1 2 "'MNIK' among top 5 box office hits in the Middle East". The Hindu. India. 2 March 2010. Archived from the original on 7 May 2010. Retrieved 8 May 2010. 1 2 3 "SA box office collections of MNIK". Box Office Mojo. Archived from the original on 24 February 2010. Retrieved 20 February 2010. ↑ "Bahrain Box Office, April 1–4, 2010". BoxofficeMojo. Archived from the original on 28 April 2010. Retrieved 8 May 2010. ↑ "Poland Box Office, April 23–25, 2010". BoxofficeMojo. Archived from the original on 5 May 2010. Retrieved 8 May 2010. ↑ "South Africa (Entire Region) Box Office, March 5–7, 2010". BoxofficeMojo. Archived from the original on 18 May 2010. Retrieved 8 May 2010. ↑ "Lebanon Box Office: April 29 – May 2, 2010". Boxofficemojo.com. Archived from the original on 30 May 2010. ↑ "My Name Is Khan foreign gross". Boxofficemojo.com. Archived from the original on 30 November 2012. ↑ "My Name Is Khan: Complete cast and crew details". Archived from the original on 27 December 2008. 1 2 3 Subhaash K., Jha (July 14, 2009). "'Shah Rukh can be an outstanding director'". The Indian Express. ↑ Tuteja, Joginder (9 January 2010). "Bollywood Hungama review". Bollywood Hungama. Archived from the original on 8 December 2015. 1 2 "My name is Javed". Hindustan Times. 7 February 2009. Archived from the original on 4 March 2016. ↑ Chakraborty, Pratap (16 August 2009). "Shahrukh Khan says stopped at US airport". Google News. Archived from the original on 19 August 2009. Retrieved 21 August 2009. 1 2 Dubey, Bharati; Rajghatta, Chidanand (16 August 2009). "'Khan' holds up Shah Rukh in US". The Times of India. India. p. 1. Archived from the original on 18 August 2009. Retrieved 5 September 2009. ↑ Blakely, Rhys (17 August 2009). "Diplomatic row after Bollywood star Shah Rukh Khan questioned by US customs". The Times. London. Archived from the original on 15 June 2011. Retrieved 21 August 2009. 1 2 3 Held because my name is Khan, says SRK. CNN-IBN . Global Broadcast News. 15 August 2009. Archived from the original on 19 August 2009. Retrieved 21 August 2009. 1 2 "U.S. Needs to Offer A Little More Warmth:SRK (video interview)". CNN-IBN . Global Broadcast News. 17 August 2009. Archived from the original on 20 August 2009. Retrieved 21 August 2009. ↑ Adams, Guy (16 August 2009). "Bollywood star at centre of US diplomatic row". The Independent. London. Archived from the original on 19 August 2009. Retrieved 21 August 2009. ↑ Reporter, BBC (16 August 2009). "Row over US Bollywood 'detention'". BBC Online. Archived from the original on 18 August 2009. Retrieved 21 August 2009. ↑ Sukumaran, Shraddha (16 August 2009). "'Shah Rukh always had this fear ... '". MiD DAY . Mid Day Multimedia Limited. Archived from the original on 19 August 2009. Retrieved 21 August 2009. ↑ Kalita, S. Mitra (1 February 2010). ""My Name Is Khan" Star Shah Rukh Khan Hopes to Top Success of "Slumdog Millionaire"". Wall Street Journal. Archived from the original on 3 February 2010. Retrieved 1 February 2010. ↑ Reporter, PTI (16 August 2009). "Film industry outraged over treatment meted out to Shah Rukh". DNA . Diligent Media Corporation. Archived from the original on 18 August 2009. Retrieved 21 August 2009. ↑ Jha, Subhas K. (17 August 2009). "SRK, it happened to us too: Khans". The Times of India. India: The Times Group. Archived from the original on 20 August 2009. Retrieved 21 August 2009. ↑ Chopra, Gotham (17 August 2009). "SRK is bigger than Pitt, Madonna: Gotham Chopra". The Times of India. India: The Times Group. Archived from the original on 20 August 2009. Retrieved 21 August 2009. ↑ Wheaton, Sarah (15 August 2009). "Questioning a Bollywood V.I.P. Named Khan". The New York Times. The New York Times Company. Archived from the original on 17 August 2009. ↑ Wheaton, Sarah (17 August 2009). "Fans protest Shah Rukh Khan's treatment in U.S." CBC. Archived from the original on 20 August 2009. ↑ "Arnold Schwarzenegger invites 'detained' Bollywood actor Shah Rukh Khan to dinner". The Daily Telegraph. London. 19 August 2009. Archived from the original on 4 June 2010. Retrieved 19 May 2010. ↑ Sarah Gordon (10 February 2010). "Airport denies Shah Rukh Khan's body scanner image was printed for autographs". Daily Mail. UK. Archived from the original on 20 July 2010. Retrieved 12 February 2010. ↑ "Bare necessity". The Economic Times. India. 12 February 2010. Archived from the original on 18 February 2010. Retrieved 12 February 2010. ↑ "No body scan on SRK: UK airport". Hindustan Times. India. 12 February 2010. Archived from the original on 15 February 2010. Retrieved 12 February 2010. ↑ Blackely, Rhys (5 February 2010). "Bollywood star Shahrukh Khan takes on Hindu extremists over cricket". The Times. London. Retrieved 6 February 2010. ↑ Sanghera, Mandeep (4 February 2010). "Shah Rukh Khan sees no reason to apologise". BBC. Archived from the original on 7 February 2010. Retrieved 6 February 2010. ↑ "No apology, no confrontation with Shiv Sena: SRK". Hindustan Times. India. 6 February 2010. Archived from the original on 9 February 2010. Retrieved 6 February 2010. ↑ IANS (6 February 2010). "Shah Rukh 'glad' Sena understood his point". Hindustan Times. India. Archived from the original on 9 February 2010. Retrieved 6 February 2010. ↑ Dubey, Bharati (10 February 2010). "Sena does a U-turn, targets 'My Name Is Khan'". The Times of India. India. Archived from the original on 12 February 2010. Retrieved 10 February 2010. ↑ PTI (10 February 2010). "SRK protests: Maha CM threatens to withdraw Uddhav's security". DNA . Archived from the original on 13 February 2010. Retrieved 10 February 2010. ↑ Goswami, Samyabrata Ray (10 February 2010). "Sena vs govt over SRK film". The Telegraph. Kolkota, India. Archived from the original on 12 February 2010. Retrieved 10 February 2010. ↑ IANS (10 February 2010). "Fox going ahead with MNIK release, Mumbai multiplexes still unsure". Hindustan Times. India. Archived from the original on 13 February 2010. Retrieved 10 February 2010. ↑ "My Name Is Khan off to a flying start". The Hindu. India. 12 February 2010. Archived from the original on 12 August 2010. Retrieved 5 July 2010. ↑ "Gujarat multiplex owners start screening of 'My Name Is Khan'". Times of India. India. 12 February 2010. Archived from the original on 16 May 2010. Retrieved 5 July 2010. ↑ "MNIK opens to huge response in Bangalore". Ndtv Movies. 12 February 2010. Archived from the original on 16 February 2010. Retrieved 5 July 2010. ↑ "We'll watch 'MNIK', Mumbai fans promise SRK". Sify.com. Archived from the original on 11 August 2011. Retrieved 13 February 2010.